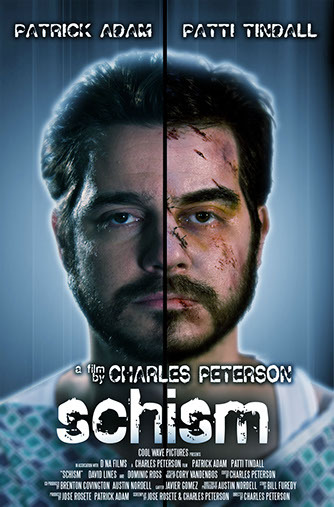 SCHISM (Experimental Trailer) - a short film by CHARLES PETERSN from Charles Peterson on Vimeo. From controversial filmmaker Charles Peterson, comes an innovative short film that can only be told in split screen. Estranged from his father, and upset over a failed romantic relationship, Greg didn't think his life could get any worse - until rendered comatose by an accident. Caught between life and death, his unconscious self seeks closure while those distant from him come to make peace... and perhaps pay final respects. The duality of his existence, a schism of reality and his shattered psyche, is laid bare, and only the hope for a second chance can lead him back to the living... and a long overdue reconciliation.